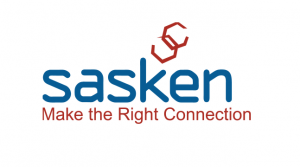 Sasken, Product engineering Services Company is converting them to ride the digital wave by enabling product development for connected experiences. Sasken is operating in verticals such as semiconductors, automotive, enterprise grade devices, smart devices and wearables, industrial automation, retail, satellite communication, and telecom. Sasken has already achieved 100 customers across these segments. They are providing product engineering and digital transformation services to global tier-1 customers like British Telecom, Qualcomm, Harman, Sony, Inmarsat, GE, Texas Instruments and Motorola Solutions. Formed in 1989, Sasken helps businesses in the communications value chain to boost life cycles of product development. Last two years saw the embedded communications solutions company sliding as some of their customers in the sector got interrupted. 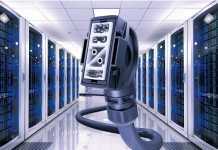 Sasken has made a “5×5 vision” with a focus on automotive electronics, semiconductors, communications, industrial automation and consumer segments for coming five years. Companies which are there in these verticals are heavily investing in the technology to be ahead of digital disruption. Sasken is going to focus on these 5 verticals and planning to grow their revenue to $250 million in 5 years heavily in technology to stay ahead of digital disruption. Sasken will focus on these five verticals to grow its revenue to $250 million in five years.